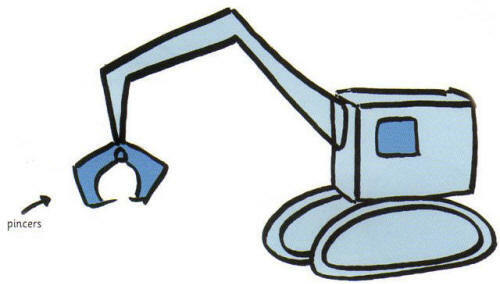 A digger looks like it could grab anything with its pincers – just like a crab. Make a tyre by drawing a shape that looks like a squashed ring. 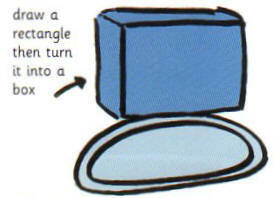 Draw a box shape to make the dipper’s cabin. 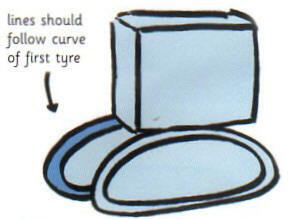 Add two curved lines as shown to make a second tyre. 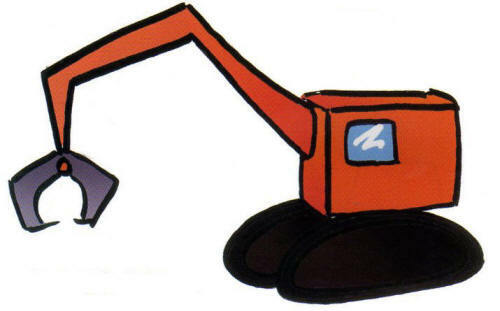 Draw the digger’s arm in three sections – start with the section that’s attached to the cabin. Make the next section smaller and the third one smaller still. Now add the pincers – imagine you are drawing a crab’s claw or Captain Hook’s hook Lastly draw a square on the cabin to make a window.